Raghuram Rajan is to take over at the Reserve Bank of India this autumn. He faces some immediate headaches. Appointing a national central bank governor has become an increasingly high profile affair in recent times. Even if the central bank in question is not “independent,” the governor and his or her team have significant influence through their role in advising the government, reporting on and in some cases regulating significant portions of the financial system, setting interest rates that influence currency valuations and trade, and making appearances at increasingly high-profile international forums and gatherings. India’s recent appointment of Raghuram Rajan as Governor of the Reserve Bank of India (RBI) has attracted a fair amount of attention. This attention is rooted in two issues: First, Mr Rajan is a high profile candidate – he is currently the government’s chief economic advisor and was formerly chief economist at the International Monetary Fund (IMF). During the latter appointment, he successfully predicted what so many others missed – the dangers inherent in the pre-crisis global financial system, giving him an extra degree of fame in the post 2008 world. His reputation had already made him a “well paid” and popular figure on the U.S. lecture circuit, and he has appeared in the Oscar-winning documentary “Inside Job” and authored the highly acclaimed and enjoyable Fault Lines. Second, the Indian economy is suffering from several problems that require strong leadership and perhaps significant policy shifts. Indeed India’s problems are going to be an instant headache when Rajan takes over this autumn. India’s currency, like many of its emerging market peers, is under pressure as fears of the U.S. Fed’s “taper” continue and capital leaves the country. For India, fears about the current account and the government budget, as well as a difficult regulatory bureaucratic regime have further undermined confidence in the rupee. While a weak currency should theoretically give a competitiveness boost to India’s exports, the degree of the fall has gone further than a level with which most are comfortable. Efforts to increase foreign inflows are already underway. Further increases in interest rates to lend support to the currency will raise borrowing costs and put even more pressure on the economy, which is already suffering a fall in growth rates. These may be introduced before he takes up the position, but there are plenty of other challenges that must be addressed. 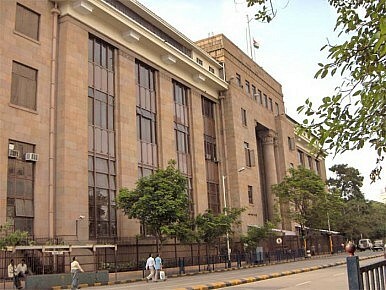 As a “non-independent” central bank, the RBI must also build a working relationship with the government – a process that should be helped by Rajan’s recent stint as chief economic advisor in New Delhi. Mr Rajan, whilst having no central bank experience on his C.V., is considered to be extremely capable and indeed has written extensively in the past, including on the topic of the role of central banks. Further clues as to what he may bring to the RBI may come from his role in the “A Hundred Small Steps” (available here) report about Indian economic and financial reform from 2009. As the title suggests, Mr Rajan believed that a serious of smaller measures could help India reform without any massively destabilizing shocks. Aside from his influence in India, Mr Rajan remains a figure of considerable global reputation. Some of that reputation is sure to increase the international profile of the Reserve Bank of India just as the institution faces up to significant challenges at home. Will his influence be enough to introduce effective reform into the RBI and India’s wider financial system? Is the Indian political system ready for the momentum we assume he will bring with him into his new position?